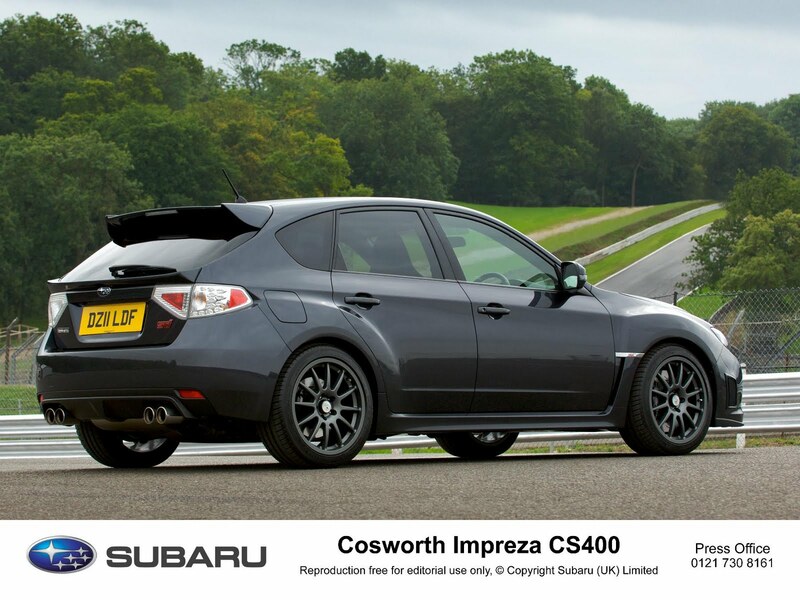 Japanese manufacturer Subaru has confirmed its attendance at this summer’s Cholmondeley Pageant of Power, the UK’s biggest celebration of power and speed, where it will be showcasing the limited-edition Cosworth Impreza STI CS400. The 400PS, Cosworth-tuned, turbocharged supercar-slayer will be piloted during the event by former British Rally Champion, Mark Higgins, who recently set the production road car lap record for the Isle of Man TT circuit in a Subaru WRX STI. The All-Wheel Drive Impreza will be competing alongside a wide array of supercar exotica on the 1.2-mile track, including an Ariel Atom V8, Lamborghini LP570-4 Performante, McLaren MP4-12C and a Noble M600. Over the course of the three-day Pageant, more than 50,000 visitors will witness Mark Higgins tackling the technical track, as he attempts to beat the 62.68 second lap record set last year by a Lamborghini Gallardo Superleggera LP570-4. 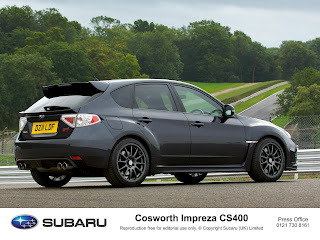 In addition to seeing the 2.5-litre Boxer-engined Cosworth take on the challenging sprint course, there will also be a display of two Cosworth Impreza STI CS400s within the paddock where show-goers will be able to see the cars up close, and appreciate some of its detailing like the lightweight Pro-Race 18-inch alloy wheels, AP Racing six-pot brake callipers and Cosworth-branded interior. The 2011 Cholmondeley Pageant of Power will be open to the public from 15 to 17 July at Cholmondeley Castle, Malpas, Cheshire.